Every writer struggles to get their thoughts onto the page, such as when we think we’ve included more than we actually did. We’ve probably all experienced a head-slap moment where we think something is on the page and we discover it was only ever in our head. Similarly, every writer struggles to make their ideas make sense to others. Again, because of that “in our head” perspective, something that makes sense to us might not make sense to others. The typical advice for how to resolve those issues is to use beta readers to get fresh eyes on our writing. Someone unfamiliar with the story will be able to point out when our words don’t make sense or when we’re skipping steps in our storytelling. They won’t have that background information in their head filling in the blanks. However, the most common request for help I receive from writers is: Help! I can’t find beta readers! We know how important beta readers are to helping us improve our writing, and yet, what can we do if we don’t have any? We’re not just supposed to sit around powerless, right? So what can we do? A beta reader is someone who reads our “the best we can make it by ourselves” draft and gives feedback about big picture things: the characters, the plot, the pacing, etc. Beta reading is not about the reader’s knowledge of the craft of writing, but about what works and doesn’t work for them as a reader. Beta reading typically falls in our editing schedule before submitting our work to agents or publishers so we can make sure our storytelling and characters are solid. For published authors, beta reading typically happens before the nitpickier stages of editing, such as before line or copy editing. How Do Writers Usually Find Beta Readers? Established authors are often able to tap their reader-fans for feedback. For example, they might simply put out a call on their Facebook reader-fan group. However, to-be-published authors—and authors still building up their fanbase—often struggle to find feedback sources. Because of that struggle, we usually turn more to fellow writers than non-writer readers. The most common arrangement is to exchange work. 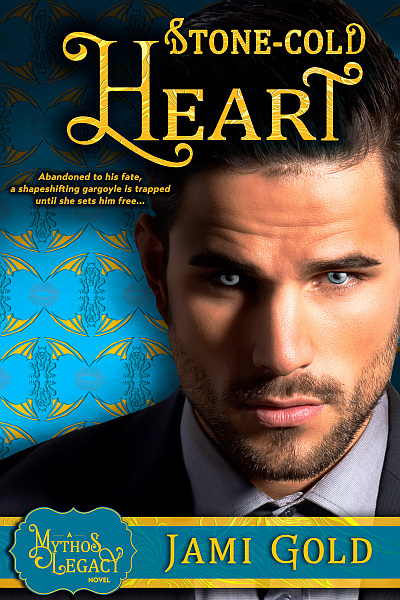 What If We Can’t Find Beta Readers? The very first post I mentioned above contains a list of ideas and sources for where we can find beta readers, but even with that list, some writers still run into stumbling blocks. Maybe everyone they try turns out to be a flake or gives bad advice, etc. We can go through that resource list above and make sure we’ve followed up and reached out appropriately. Writers can be introverts and reaching out can be difficult, but help won’t knock on our door. If none of those resources deal with our genre or are a good fit for us, we can search for other options specific to our situation. 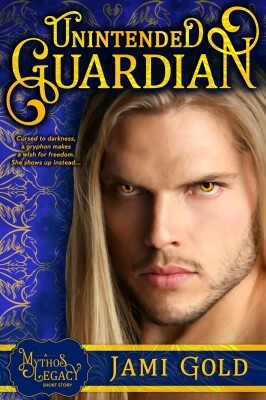 Are there Facebook or Goodreads groups of fans of our genre? What about review blogs for our genre—could we reach out to some of the commenters there? Can we broaden our outreach to non-genre readers? 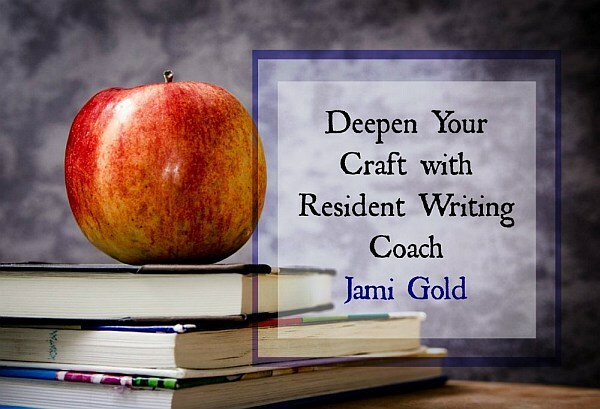 My guest blogger Tamar Hela shared her suggestions for how to connect with the writing community, even in tricky situations. Those connections could be possible readers, or they could point us to other possibilities they know of. In other words, don’t give up. *smile* Just because some possibilities don’t work out doesn’t mean none of them will. Some resources will likely produce better matching or quality partners for us than others, etc. If we found a beta reader we liked but they didn’t want to work with us, make sure we were giving as good as we got. Were we professional with them? Did we meet any agreed-upon deadlines? What was the quality of our feedback? As we can tell from those links above, we can learn a lot about how to improve our feedback. We need to be insightful but not overly harsh, positive but not shallowly “I liked it,” constructive and not destructive, etc. Every tip about “what to look for” in beta readers or editors could also apply to the feedback we give. We should give the type of feedback we’d like to receive. Do we have an encouraging attitude for their potential? We should be humble with our feedback, offer suggestions not obligations, and try not to come across as self-righteous or superior. And we also shouldn’t try to rewrite their story the way we would. If we’ve had a couple of people back out of a beta-reading exchange, that could just be circumstances or part of the subjective nature of writing in that they might not be a fan of our writing or voice. But if we’ve had a bunch of beta-reading exchanges blow up, the problem might be with us. If we’ve found a beta reader who’s willing to work with us and sticks to deadlines but their feedback isn’t as helpful as we’d like, we can try to help them provide us better feedback. We could direct them to some of the posts here with advice. We could direct them to the Beta Reading Worksheet. Or we could be more specific with what type of feedback we need or the questions we have about our work. Even if we provide good feedback or even if their feedback is subpar, others won’t want to work with us if we complain or strike back at criticism. We have to want to be better. So no matter what, we should always express thanks for their feedback. They did spend time on it, and that alone deserves our thanks. At the same time, we shouldn’t attack readers for trying to help. If we don’t like someone’s feedback, simply don’t use them again. Striking back will only make us look like someone who can’t take criticism, and that doesn’t accomplish anything. Could we learn enough from a manuscript analysis (like an overview of issues, similar to a revision letter) or a partial edit from a professional editor to improve the rest of the story on our own? No matter what, the better we can self-edit, the better writers we’ll become. So I hesitate to call this a “last resort” option. It’s last resort only in the sense that if we can’t get outside opinion and fresh eyes on our work, we have to fill that role. And especially when we’re new or inexperienced writers, this can be tricky. Books such as Self-Editing for Fiction Writers by Renni Browne and Dave King can be great for pointing out common errors. Some workshops focus on self-editing skills as well. Learn how to gain distance from our work so we can make our eyes as “fresh” as possible. Learn how to be our own book doctor, such as with these questions Janice Hardy shares to make our story stronger. Use my worksheet for analyzing our story’s bones. Learn to listen to that inner voice telling us something feels off about our story. Most feedback I receive from beta readers now falls into “yeah, I knew that but couldn’t put my finger on it” category. 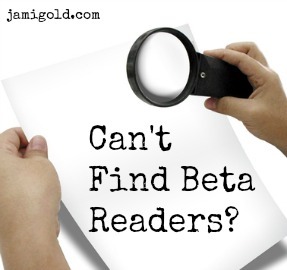 Have you struggled to find beta readers? What have you tried and were unsuccessful with? What caused the difficulty? 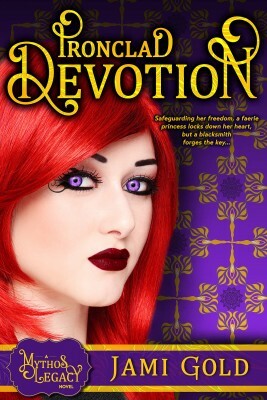 If you’ve succeeded at finding beta readers, what worked for you? Do you have any other tips for dealing with this problem—other resources or things to try? I heartily endorse your every point. Getting a second, third, and fourth set of eyeballs on your work is essential to making your ms worth reading. And I certainly agree with your point that it’s mutually beneficial to beta read others’ works. Comparing and contrasting your own style with others provides valuable insights into the craft of writing. So here I am, building a slider on a web page (carousel), and BANG! Jami’s blog email arrives! Yea! “my worksheet for analyzing our story’s bones”. Ha Ha! I am so going to wear that out. Thank you, much. BTW, you get points for having excellent graphics at the start of your posts. Every post has a unique image. I like it. Adds an additional “something”. Thanks for your post, Jami. I agree with everything you said. For me, the biggest challenge is finding a Beta Reader that will read more than one or two chapters a month. I write full-time and hope to get 4-books out per year. That’s a whole lot of chapters that need to be looked at. Most people don’t have that type of time. Plus, I need someone that is creative, can help me talk through possible changes and offer solutions without trying to change my story. That’s not typically a beta reader. I will take your advice to heart and look inside my network. Someday, I hope to find Beta Readers…I just need to be patient. I was kind of worried about finding beta readers who would actually read my manuscript and, at least, attempt to give me decent feedback. 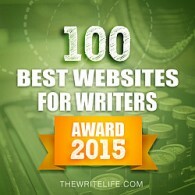 But then I remembered the online writing community I belong to, Writing.Com. It has a forum for this type of work, although it could take several months to get a large enough selection of feedback. However, slowly but surely, I’ve been collecting email address of writers there who I regard with respect because of their straightforward constructive criticism. Additionally, I have a few bloggers I visit regularly who I can approach for this task. Self-Editing for Fiction Writers. I love that book, and recommend it to all writers. 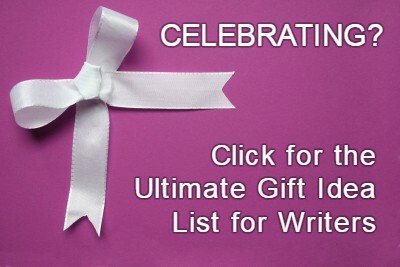 I use a mix of friends and relatives as beta readers, along with writing partners and others in the writing community I consider professionals or seasoned. Getting lots of feedback is important, and it’s good to have at least two different major perspectives.